A three-judge panel just unanimously struck down California’s Mandatory Mediation and Conciliation secrecy law as unconstitutional, handing a win to Gerawan Farming and employee Lupe Garcia. Mandatory Mediation and Conciliation was signed into law by Democratic Gov. Gray Davis in 2002. The May 9, 2016 decision by the Fifth District Court of Appeals in Fresno just handed farmworker Lupe Garcia a win in his battle for constitutional rights against the United Farm Workers and the California Agricultural Labor Relations Board. Garcia challenged his right to attend portions of the binding formation process known as the Mandatory Mediation and Conciliation, after being locked out by the ALRB. The court reversed a lower trial court that had favored the ALRB, finding a state law to be unconstitutional. The win means that employee Lupe Garcia, who works at Gerawan Farms in Fresno, will have his lawsuit against the Agriculture Labor Relations Board go forward. It also means for Garcia and the thousands of Gerawan farmworkers, their case will be heard. “The Board has continued to put up barriers at every stage of this proceeding to keep the farmworkers’ will suppressed, and we look forward to having this important, democratic issue decided,” attorney Paul Bauer said. The legal case is the result of a years-long battle between the farm workers at Gerawan Farming, and the United Farm Workers labor union, which tried to force several thousand workers into the labor union despite the workers’ decertification election to oust the union once and for all. 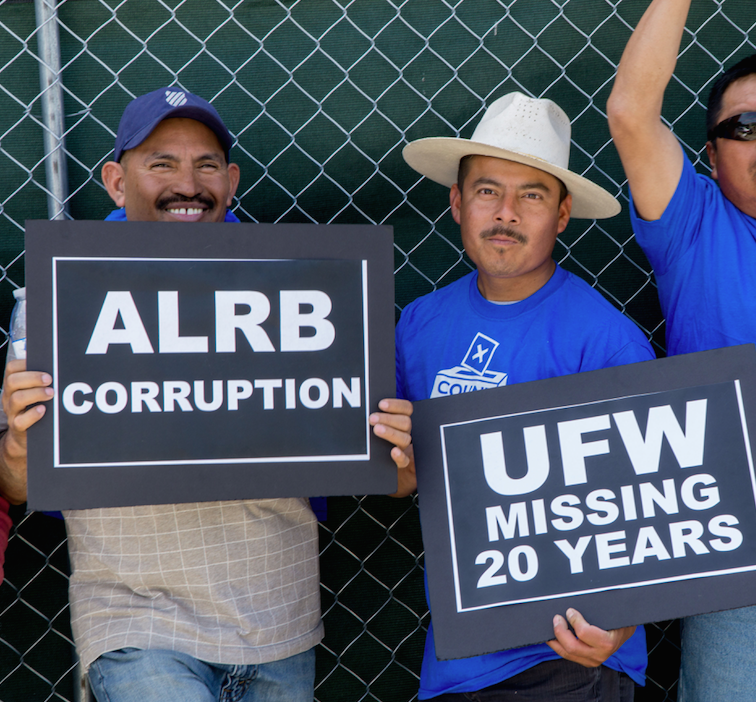 Lupe Garcia and Gerawan sued the ALRB in Fresno County Superior court over ALRB members’ refusal to allow Garcia to attend mediation meetings on the contract. Garcia requested the ALRB‘s permission to attend and observe the on-the-record phase of the MMC process, where evidence and argument would be presented by the parties to the mediator on all disputed issues, Bauer explained. Ironically, the ALRB denied Garcia‘s request claiming he was not a party to the Mandatory Mediation and Conciliation. Then, rubbing salt into the wound, issued a policy decision that members of the public have no right to attend MMC proceedings. I attended the Fifth District Court of Appeal hearing in Fresno April 20. California Deputy Attorney General Nelson Richards told a three-judge panel “It has never been a right” for farm workers to sit in on labor mediation meetings, and never should be. “I can only imagine why the general public is not allowed in,” attorney David Schwarz said in court. Bauer told the court that Lupe Garcia made the 100 mile trip to attend the 2013 meeting with 15 other workers to find out what was going on. But it was the UFW and ALRB attorneys who decided not to let Garcia observe the MMC proceedings. “They were told they could read about it in a transcript,” Bauer said. Bauer asked the Agricultural Labor Relations Board, which represents the workers, to let them in to the meeting, but was told, “No. You’re not a party to the process.” The ALRB told Bauer and the workers that the UFW represents the workers. “It was such a juxtaposition to suggest they were adequately represented,” Bauer said. The ALRB said Mr. Garcia was not a party to the proceedings, has no standing, and barred him from his own proceedings. “He’s left wondering, ‘what are they trying to hide,’” Bauer told the court. Last year, the same three-judge California appeals panel struck down the section of state law that allows the ALRB to force UFW contracts on farmworkers, and ruled that section of the law, unconstitutional. The judges agreed that the ALRB should have allowed Gerawan Farming to prove that the UFW had abandoned thousands of its members for two decades. “More fundamentally, we agree with Gerawan’s constitutional arguments that the MMC [mandatory mediation and conciliation] statute violates equal protection principles and constitutes an improper delegation of legislative authority,” the Fifth District Court of Appeals judges ruled. Farmworker Silvia Lopez alleged as a plaintiff in the suite that the ALRB was violating her Constitutional right to freedom of association. The three judges agreed. The ruling showed that Gerawan Farming and Silvia Lopez were truthful all along, while the ALRB’s general counsel Sylvia Torres-Guillen, and its Visalia director Silas Shawver, were clearly in the wrong. “So the bargaining unit can bring in anyone, but because it’s confidential, can bar other employees from watching?” Presiding Judge Brad R. Hill asked. UCLA law professor Eugene Volokh, representing the California Newspaper Publishers’ Association, told the justices that mediation meetings function similar to a bench trial and should be open to the public. “Certainly the game is rigged,” science fiction author Robert Heinlein once wrote. “Don’t let that stop you; if you don’t bet you can’t win.” The quip should be the new rallying cry of California’s indefatigable band of pension reformers, who continue to fight to rein in the state’s pension debt. It’s always been a tough battle — but the latest setback shows that the system is rigged at practically every level. Last month, California’s Public Employment Relations Board, the quasi-judicial body that oversees the implementation of the state’s collective-bargaining statutes, invalidated the results of a three-year-old referendum —Proposition B — that passed in November 2012 with 66 percent of the vote and would have reduced pension benefits for most new hires in San Diego and moved them to a 401(k)-style, defined-contribution system. Other reforms have also fallen by the wayside. In June 2012, heavily Democratic San Jose approved with nearly 70 percent of the vote a measure that would have trimmed benefits for current employees. A Santa Clara County judge in 2014 eviscerated the measure, invoking the so-called “California Rule,” a 70-year-old court interpretation of the state constitution that has made it impossible for overburdened cities to trim employee costs. San Diego’s reform initiative was qualitatively different from San Jose’s. Its authors were careful to craft language that avoided running afoul of the California Rule by focusing on new hires and placing caps on pensionable pay. Prop. B was touted as a model for the rest of the state to follow, and the state needs one. The union-controlled Legislature remains hostile to reform, beyond the expedient passage in 2012 of a pension-reform bill that mainly served as a bait-and-switch to convince voters to hike taxes. PERB is not an impartial agency. 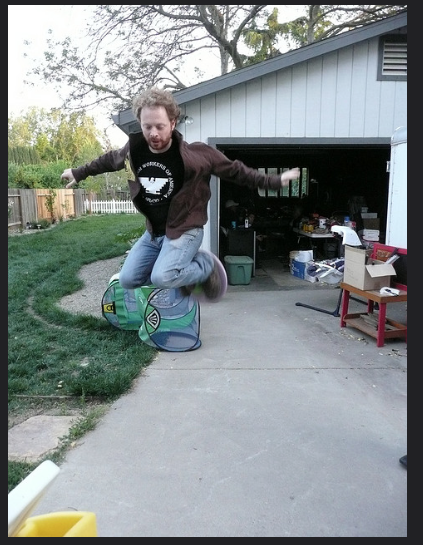 Before the 2012 city vote, PERB had tried to keep the proposition off the ballot altogether. Most of the board’s members have worked for one of two big unions — either the California Teachers Association or the Service Employees International Union. Its administrative law judges aren’t real judges but officials employed by the agency. Nearly two years ago, one of those biased adjudicators issued a lengthy ruling demanding that San Diego return to the 2012 status quo. The full board affirmed the ruling, maintaining that officials were required to bargain the terms of the initiative with the city’s unions before placing the measure on the ballot. But the city didn’t place the measure before voters — voters did it themselves, signing petitions to place it on the ballot. The board elided this vital distinction by pointing to the participation of San Diego’s former mayor, Jerry Sanders, and other officials in the initiative’s campaign. Never mind that Sanders said he was involved as a private citizen. On Tuesday, the City Council voted unanimously to appeal the measure, even though a leading Democrat said he voted for the appeal simply to get legal clarity. “The people’s right to initiative is guaranteed by the California Constitution,” City Attorney Jan Goldsmith told the Union-Tribune. “This right cannot be bargained away in a back room, or stolen from the people by a government agency.” The appeal will send the matter to the courts. PERB isn’t the only agency to try to kill citizen initiatives. Recently, the union-friendly Agricultural Labor Relations Board invalidated an election by Fresno farm laborers who voted against representation by the United Farm Workers. For more than a year, the board refused even to count the ballots before deciding to destroy them. Former San Diego councilman Carl DeMaio, a leader in the city’s pension reform fight, and Chuck Reed, San Jose’s former mayor and a leader in that city’s pension reform efforts, have been working on a statewide initiative for either the November 2016 or 2018 ballots. They’ve faced lots of resistance from entrenched power, and they’re preparing to meet other legal obstacles from unions and their political backers. Yes, the game is rigged, but reformers soldier on. At least they understand that California’s fiscal future is at stake. After a long and bitter legal battle, California officials decided Thursday that the vote of thousands of Latino farm workers does not count, and they must stay in their union. The case pitted farm workers of Gerawan Farming, union officials, advocates and government agents against each other. Accusations of union bias, employer abuse and even “Jim Crow” suppression tactics were detailed through countless pages of legal testimony. After nearly two years of uncertainty, the courts have sided with the United Farm Workers (UFW). Additionally, the decision accused Silvia Lopez, the main worker leading the effort to decertify the union, of being paid to do so. It noted she was given time off to lead the effort and actively blocked her colleagues from voting. It also cited her as being a “girlfriend” of one of the Gerawan Farming supervisors. It all began in 2013 when Lopez and many of her fellow workers at the Fresno-based Gerawan Farming filed to decertify the UFW. After 20 years of absence, the union came back to demand dues, angering many of the nearly 5,000 workers at the farm. After an unfair labor practice charge against the farm employer, though, the Agricultural Labor Relations Board (ALRB) decided to lock away the ballot vote. The ALRB began investigating to determine if employer abuse actually occurred. Concerns that the board was biased in favor of the union, however, made critics skeptical they would make a fair decision. As the dispute developed, it quickly gain attention from local lawmakers like Republican state Assemblyman Jim Patterson. Patterson even introduced legislation to rein in the ALRB in early 2015. With concerns the board was bias, the hope was to put power back in the hands of the workers, not the union or ALRB. The measure did not go forward. The hearing process lasted six months — ending in March — and became the longest labor hearing in the history of the state. As both sides waited for a decision in the months to follow, concerns the ALRB was bias became worse. Accusations of voter intimidation were first brought to light in a June article from Flash Report Senior Correspondent Katy Grimes. At least 19 separate workers alleged abuse from agency officials during the election. “They call me ignorant. They said they’d call immigration to take me out of the country,” Lopez, who is an American citizen, told TheDCNF back in June. According to legal testimony from the workers, officials told them their vote was likely to get thrown out, made them perform public verbal tests, segregated them and forced them to show identification after explicitly telling them it wasn’t necessary to bring. Additionally, ALRB officials in charge of the vote were accused of openly supporting the union. This included Regional Director Silas Shawver who was shown wearing union gear. The case attracted national attention as it developed. The Center for Worker Freedom, a worker choice advocacy group, led much of the effort to bring attention to the issue. This included rallies for the workers and media outreach campaigns. One rally even got the attention of Democratic Gov. Jerry Brown, who invited Lopez to talk with him about what was happening. Though part of his administration, there was no evidence he knew the extent of what the ALRB was being accused of doing.